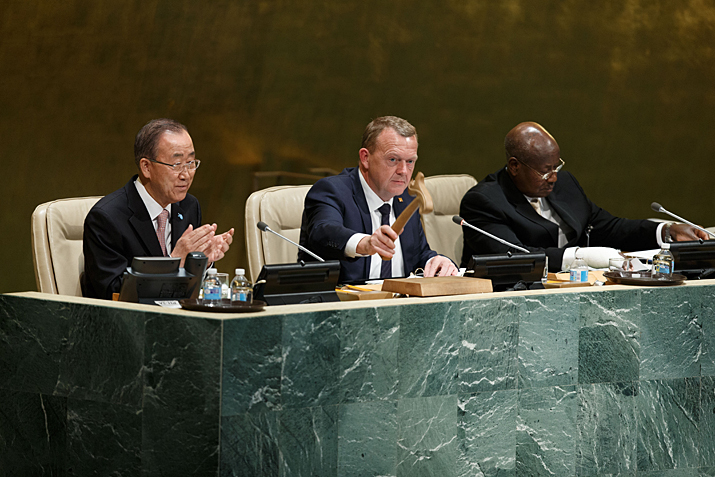 The 70th anniversary of the United Nations' General Assembly was one for the history books. 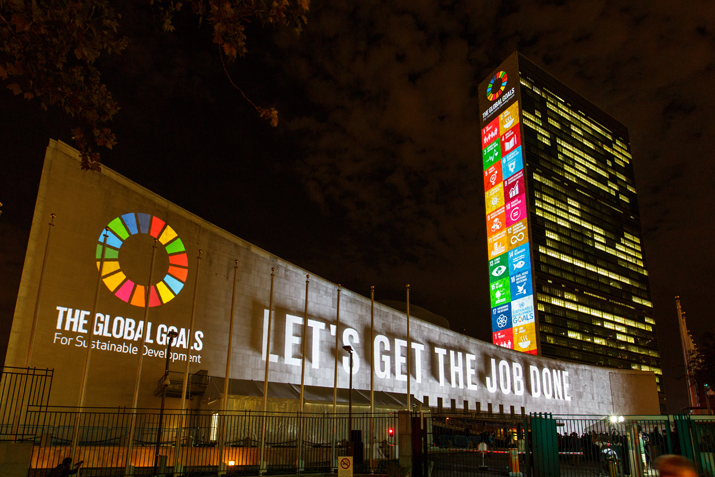 As members approved the 2030 Agenda for Sustainable Development--the organization's post-2015 agenda that encompasses 17 Sustainable Development Goals (SDGs)--world leaders heard a passionate call from Pope Francis to change the world for the better. Within the space of two hours, presidents Barack Obama, Xi Jinping, Vladimir Putin, Hassan Rouhani and Francois Hollande, made their way to the green marble podium to pledge funds, leadership, military strength and technology to promote world peace and lift millions out of extreme poverty. Behind the political theater, however, are some real changes that may make the world a better place. It has taken nearly three years and the largest consultation in UN history to arrive at the set of goals, targets and indicators that will address the roots of global poverty. The UN concluded its Sustainable Development Summit on September 28, saying it had "successfully galvanized support for the implementation of the ambitious and historic new Sustainable Development Agenda." The SDGs include 17 broad-reaching goals designed to slash poverty, hunger, disease, gender inequality and access to clean water and sanitation worldwide by 2030. These goals--too big for any one country to solve on their own--will require a mind-boggling amount of dedication, money, commitment and global cooperation to work. The UN thinks it is the organization to make it happen, and the standing ovation by member delegations after the adoption of the agenda indicates they also believe in the goals. The plan's implementation is expected to cost $3.5 trillion to $5 trillion a year. Funding is expected to come from public and private sources, and each member country will be responsible for its own economic and social development, with wealthier countries such as the United States contributing additional funding. "The new agenda is a promise by leaders to all people everywhere. It is a universal, integrated and transformative vision for a better world," UN Secretary General Ban Ki-moon said at the opening ceremony of the summit. "It is an agenda for people to end poverty in all its forms. It is an agenda for shared prosperity, peace and partnership [that] conveys the urgency of climate action [and] is rooted in gender equality and respect for the rights of all. Above all, it pledges to leave no one behind." According to the UN World Food Program (WFP), an estimated 795 million people, or one in nine people, around the world do not have enough food. 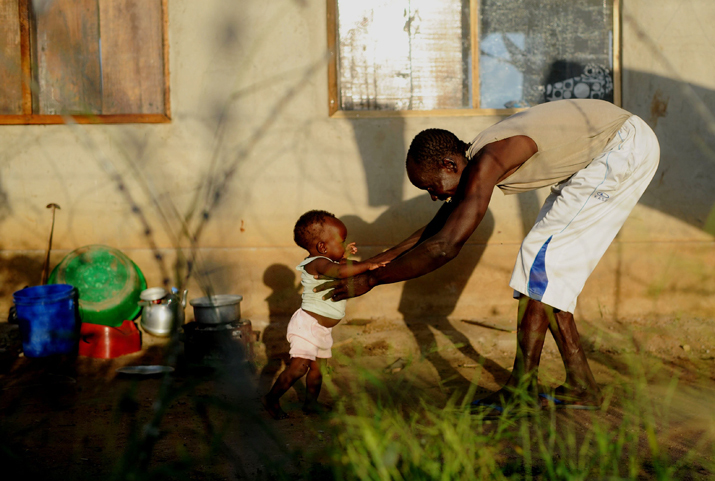 Poor nutrition accounts for 45 percent of deaths in children under five, or 3.1 million children a year. Most of the hungry are found in the developing world, with the largest number living in Asia. It's no wonder, then, that eradicating world hunger tops the SDGs list and has garnered the most support from member countries. Indeed, a number of countries announced specific contributions. Ethiopia committed 70 percent of its domestic budget to activities to help the poor, including education, health, agriculture and food security. Mali committed to allocating 10 percent of its budget to ending hunger, with the aim of increasing the contribution to 15 percent. Namibia committed 15.1 percent of its national budget to agricultural development. The implementation of this SDG will be a litmus test of the agenda, said Amina J. Mohammed, UN Secretary General's Special Advisor on Post-2015 Development Planning, at the summit's closing. Organizations committed to ending world hunger also pledged their support. Oxfam International, in conjunction with UN Global Compact, announced the launch of Poverty Footprint, a tool that will assess the impact of implementing the commitments made by countries and private companies to reach the SDGs. With the ability to track poverty-reducing initiatives' progress, companies and civil society partners can better understand and address the positive and negative impacts corporate practices have on people living in poverty, according to the UN. Is ending global hunger really possible? Public skepticism could be forgiven. The problem seems too big and the resources too small. Indeed, $3.2 billion is needed each year to reach the 66 million schoolage children living in hunger, according to WFP calculations. But the UN thinks this could be the moment when real change takes place. "I don't think it's all that ambitious to eliminate hunger," Jomo Sundaram, Assistant Director General of the UN's Food and Agriculture Organization (FAO), told Reuters. Incomes are increasing in much of the world, food transportation is improving and new technologies are increasing crop yields. There are 216 million fewer hungry people on Earth today than in 1990. The world currently produces enough food to feed everyone, according to Oxfam. The problem is distribution. One third of food worldwide is discarded or spoiled in transport before reaching consumers, according to the FAO. In rich countries, individuals and grocery stores are responsible for most of the waste. In poor countries, most of the losses are due to poor refrigeration systems or infrastructure bottlenecks. Solving world hunger means solving waste and distribution. "It's not going to be easy, but if you look at the arithmetic, it is achievable," Sundaram said. Some grassroots efforts are pushing the cause. More than 1 million people have signed an online petition calling on European ministers to pass laws and launch national action plans aimed at meeting a target in the SDGs to halve global food waste per capita by 2030. Reducing meat consumption to once a week would reduce commodity prices and curb greenhouse emissions from the livestock sector, which accounts for roughly 14 percent of the global total, more than direct emissions from transportation. But with global temperatures already on the rise, farmers in south and east Africa may have to switch from traditional maize crops to sorghum, millet and traditional vegetables. New "climate-smart" varieties of maize and stable crops will also be crucial to withstand hotter, drier weather, said Luigi Guarino, senior scientist with the Global Crop Diversity Trust, a plant research organization, to Reuters. As the saying goes, "Give a man a fish, and he eats for one day. Teach him how to fish, and he eats forever." Access to education is probably the number one tool to lifting the poor out of the cycle of extreme poverty. The SDGs call for students everywhere to have free access to education through high school. Nobel Laureate Malala Yousafzai, in her address to the UN assembly, maintained "all the SDGs come down to education." Education is the connection to reducing poverty, improving maternal health, children's rights and human rights. China has pledged billions in development aid to the world's poorest nations and announced it will forgive the worst-off countries whose debts are due this year. China also announced it will commit an initial $2 billion to establish an assistance fund to meet post-2015 goals in areas such as education, healthcare and economic development with the goal of increasing the fund to $12 billion by 2030. To reach the SDGs, UN officials called on the international community to value, support and empower teachers, "for it is they who will educate a new generation of children who, in turn, will carry forward all our goals to build a better world for all." According to estimates compiled by the UNESCO Institute for Statistics, countries will need to recruit 10.9 million primary school teachers to achieve universal primary education by 2020. The UN launched an ambitious public-private strategy to end the preventable deaths of women, children and adolescents. The organization already has initial commitments of more than $25 billion for the next five years to provide life-saving treatments from immunizations to perinatal care. Some private partnerships to assist developing countries meet SDG healthcare targets have already been announced. GSK (GlaxoSmithKline) committed to working with multiple partners, including in the private sector, government and non-governmental organizations, to address the least developed countries' health needs by strengthening and supporting the development of healthcare infrastructures. The Bill & Melinda Gates Foundation, the World Bank Group and the UN World Health Organization have also launched a new partnership to support countries in improving primary healthcare performance. The new partnership, the Primary Healthcare Performance Initiative, includes a roadmap to assist countries track key performance indicators to see which parts of the primary healthcare system are functioning and which are failing. It already tracks 25 signs in 135 data-available countries. Jim Yong Kim, President of the World Bank Group, said that for the first time, the world has set a goal with specific targets for universal health coverage by 2030. More than 400 million people worldwide lack access to essential health services typically delivered through primary healthcare. "To ensure that everyone has access to essential and affordable health services, countries must have strong primary healthcare systems to deliver them--that's how we'll reach the poorest and most vulnerable people with the care they need in the most equitable way," Kim said. Several countries have already made commitments to meet the SDGs associated with ensuring gender equality. China announced it will donate $10 million to UN Women to implement the Beijing Declaration and its Platform for Action and achieve the related goals in the post-2015 development agenda. The Jordanian Government committed to closing the gender equality gap by 2030 through a variety of actions, including intensifying efforts to align national legislation with the Kingdom's international and regional commitments. The Republic of Korea announced the Better Life for Girls Initiative, which will support vulnerable girls in developing countries with $200 million over the next five years. "Today, world leaders are signaling their personal responsibility for gender equality and women's empowerment," said Secretary General Ban Ki-moon. "This is as it should be." The UN chief commended the leadership of Chinese President Xi and thanked both the Government of China and UN Women for organizing a high-level Global Leaders Meeting on Gender Equality and Women's Empowerment: A Commitment to Action' during the summit. "We cannot achieve our 2030 Agenda for Sustainable Development without full and equal rights for half of the world's population, in law and in practice. We cannot effectively respond to humanitarian emergencies without ensuring women and girls are protected and their needs prioritized," the secretary general declared. In his address to the UN General Assembly, Pope Francis told world leaders that in order to address poverty, hunger, war and inequality, they must first tackle climate change. "A selfish and boundless thirst for power and material prosperity leads both to the misuse of available natural resources and to the exclusion of the weak and disadvantaged," the pope told the assembly. "Any harm done to the environment, therefore, is harm done to humanity." It's a hard pill to swallow for developing nations, who must balance economic growth with the expensive task of reducing greenhouse emissions. World leaders are beginning to step up. In its contribution to the UN climate agreement, Brazil pledged to slash greenhouse gas emissions by 37 percent by 2025 and 43 percent by 2030. Peru announced it will reduce greenhouse gas emissions by 30 percent by 2030. Sweden announced it would become fossil-fuel free. And Panama committed to restoring 50 percent of the country's deforested areas over the next 20 years. Additional commitments could be announced at the end of this year when world leaders will descend on Paris to try and agree on a universal climate deal. "We all look forward to deliver with similar ambition, focus and commitment on a global deal on Climate Change this December in Paris. In Bangladesh, climate change puts our precious development gains at risk. Therefore, we must ensure that this Development Agenda and the new climate deal deliver on protecting and harnessing the present and the future of humanity," said Sheikh Hasina, Prime Minister of Bangladesh. The world has made great progress in reducing poverty over the last 15 years. This is partly due to the world economic expansion and partly due to UN commitments made at the millennium. Now the UN is doubling down and setting even more ambitious targets. The challenge is greater. The world economy shows signs of slowing, and global leaders in developing economies do not seem to have credible strategies for dealing with problems on their own. Realistically, some countries mired in war and conflict may be beyond help at this point. It is difficult to expect Syria to work on universal education, or for Sudan to address climate change. Therefore it is up to leaders, private foundations and the public to provide money and leadership to lead these large-scale public works. "Never before have world leaders pledged common action and endeavor across such a broad and universal policy agenda," states the declaration adopted by the world leaders at the UN Sustainable Development Summit. "We are setting out together on the path toward sustainable development, devoting ourselves collectively to the pursuit of global development and of 'win-win' cooperation which can bring huge gains to all countries and all parts of the world." What are the UN's 17 Sustainable Development Goals? Since the adoption of the UN's Millennium Development Goals (MDGs), China has accounted for two thirds of the world's reduction in extreme poverty. China pulled 439 million people out of poverty from 1990 to 2011. China has assisted 120 developing countries reach their goals, such as exempting zero-interest loans amounting to 30 billion yuan ($5 billion) owed by heavily indebted and underdeveloped countries on six separate occasions. China has provided 166 countries and international organizations with nearly 400 billion yuan ($63.49 billion) worth of assistance and dispatched over 600,000 aid workers. More than 700 of them have died during their service while helping other countries develop. China will establish an assistance fund for South-South cooperation with an initial pledge of $2 billion. China will continue to increase investment in the least developed countries, aiming to increase its total to $12 billion by 2030. China will exempt the debt of the outstanding intergovernmental interest-free loans due by the end of 2015 owed by the relevant least developed countries, land-locked developing countries, and small-island developing countries. China will establish a 10-year, $1-billion China-UN peace and development fund to support the UN's work, advance multilateral cooperation and contribute more to world peace and development. China is to provide a total of $100 million of free military aid for the African Union in the next five years to support the establishment of the African Standby Force and the African Capacity for Immediate Response to Crisis.